Ebenezer Scrooge is a miserly and mean-spirited old man. He treats family, coworkers, and strangers alike with distaste. But on Christmas Eve he receives a visit from the ghost of his dead business partner, Jacob Marley. 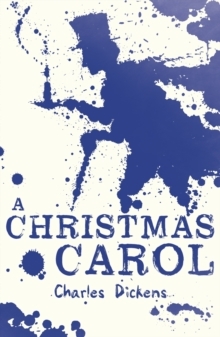 Marley warns Scrooge that unless he learns to be less greedy and self-serving that Scrooge will be condemned to wander Earth weighed down with heavy chains, as Marley has been. Marley tells Scrooge that three spirits will visit him. First, the Ghost of Christmas Past visits and shows Scrooge his own Christmases past, including the Christmas when his fiance left him for being obsessed with money. Second, the Ghost of Christmas Present shows Scrooge all the happiness occurring at the various Christmas festivities around the city. Finally, The Ghost of Christmas Yet to Come shows Scrooge what will happen after his own death, and Scrooge is horrified to find that everyone will celebrate it. Distraught, Scrooge begs for another chance, and suddenly wakes in his own bed. Forever after he honours the spirit of Christmas with kindness, generosity and warmth.